If you are not familiar with road trips all we can say is sorry, possibly the most affordable fun anyone can have either solo or with your friends. After all travelling at 100km/hr your mates can not escape! But you will want photo’s to remember it right so what about your hair? Last thing anyone wants to look back and think you looked homeless. 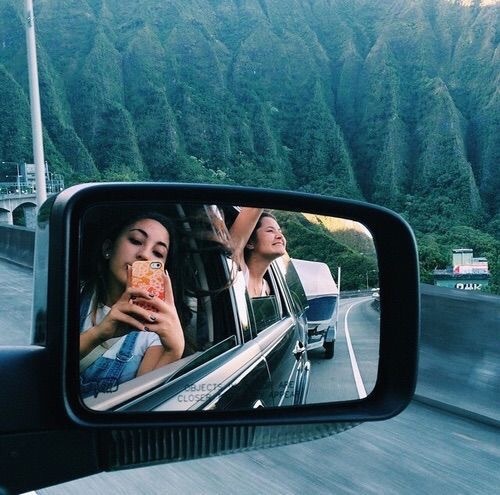 Here is a list of things you must take on your next road trip! Dry shampoo! Who knows where your staying or what the water or weather is like so best to carry a bottle of this to keep you looking fresh! Sea salt spray, gives you a little texture and helps freshen your look up, just don’t go crazy with it. Elastic hair tie’s yes plural and always keep one extra in the car on the rear vision mirror those things tend to walk on there own!